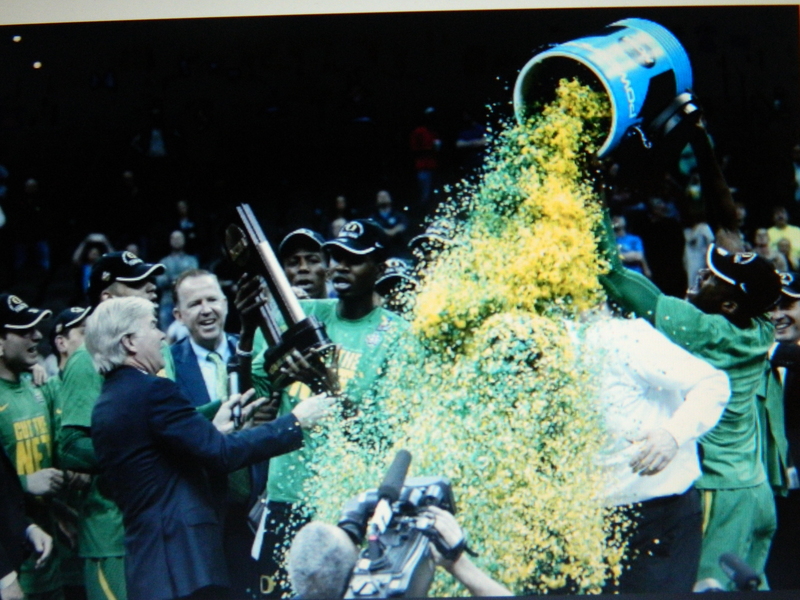 Photo from The Oregonian – Oregon Ducks Men’s Basketball Coach Dana Atlman doused with a bucket of confetti March 25, 2017 after the team wins in the Elite 8 2017 NCAA Tournament. Hashtag the #confettidouse a #betteridea. Oregon Ducks Men’s Basketball Coach Dana Altman was ‘doused’ with a bucket of team colored confetti March 25, after their victory during the Elite 8 of the 2017 NCAA Tournament. The Ducks now head to the men’s Final Four. Let me add my voice to those who champion the confetti douse over Gatorade showers, or the other cold liquid dousing coaches have been taking since the mid-1980’s. “If God had intended for coaches to endure Gatorade showers, they would have been born with slickers on the headphones,” Stan Stillman wrote in a piece titled, “Enough with the Gatorade Dousing”, published January 2, 2011 by bleacherreport.com. “Confetti is just the right kind of festive, harmless alternative,” Alex Kirshner stated in an article he wrote for sbnation.com December 29, 2016. It would be naive not to realize, coaches are not always warm and fuzzy personality types. In some cases, harsh is probably an understatement in describing how players may be treated. In fact the cold liquid dousing has the feel of revenge not celebration. That may well be true of its origin. Online sources point to the first Gatorade shower in 1985, of then Giants Coach Bill Parcells after the Giants beat the Redskins. Allegedly, pouring the bucket of cold liquid on Parcells was instigated by a player who was angry over the way he had been treated by Parcells that week. From there the Gatorade, or ice water dousing, took on a life of its own. Typically, it comes after a meaningful win in sports. Dousing has not been limited to head coaches, rather as well, assistant coaches, even star players, have endured the ritual. As a viewer, I cringe when I see the bucket coming. In November of 1990, 68-year-old Long Beach State Coach George Allen came down with pneumonia and died only weeks after having been doused following a major win, reported Stillman. Another site adds that Allen became ill and ultimately died of ventricular fibrillation. The American Heart Association describes ventricular fibrillation as a serious cardiac rhythm disturbance. Think about the rapid change which can occur in the heartbeat if one experiences an extreme temperature change to cold. And, these cold liquid douses can take place when the thermometer reads 30 degrees or below Fahrenheit. Although outdoor dousing may be a clearer health risk, just because dousing might occur indoors, does not eliminate it as a potential shock to the heart. The first NBA coach said to get the Gatorade treatment was Doc Rivers when the Boston Celtics won the finals in 2008. It is long overdue to leave pouring cold liquid over coaches, as one sportswriter put it – “back in the last century.” If players and teams do not take the initiative and stop the dousing themselves, then it is time for collegiate and professional leagues to outlaw the practice and impose fines. On the other hand, confetti is all about celebration. The best collegiate confetti colors? 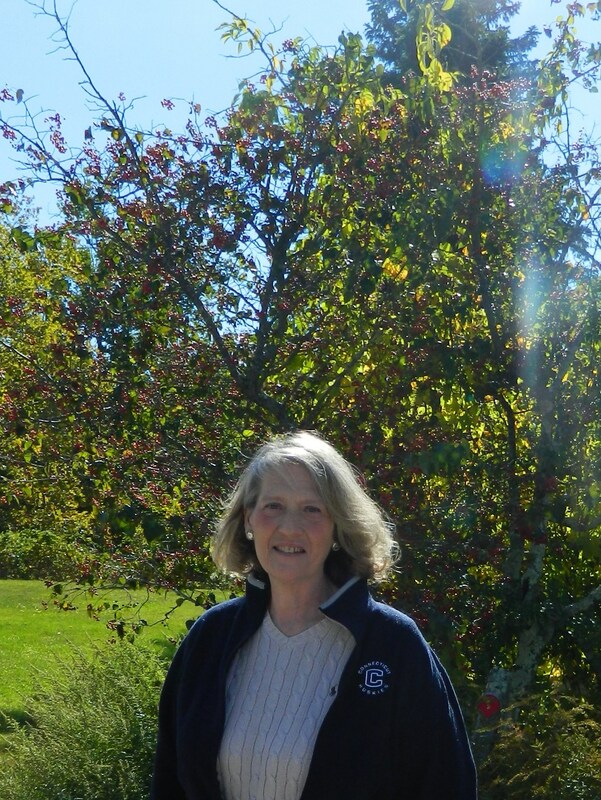 UConn Blue & White!